It is sacrosanct for photographers and clients to understand that when a photographer quotes his/her fees for clicking ‘n’ number of images, he/she is not essentially agreeing to sell those images but in fact licensing those images to the client for a ‘specific use’. Commercial photography in India is definitely a ‘licensing model’, but most photographers are not being specific enough to avoid ‘situations of conflict’ or simply because of their lack of confidence. In my 13 years stint in the photo industry, I have heard many photographers complaining about how their images are being used without their permission for bigger commercial purposes than what has been agreed upon (often via verbal communication and less articulated emails). They often find clients who have made a ‘lower usage’ agreement with them using those images for major ATL-Billboard and Hoarding Promotions. Most often, the original brief given to them is often misleading and comes with the tagline ‘only for digital purposes’. There have been cases when photographs which were supposed to be used for advertorial promotions were being used as major ATL – newspaper and print ads in national publications. 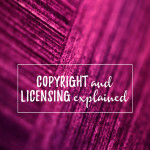 Such scenarios arise because photographers are not being forthright enough to specify License Terms in their original estimates and invoices to the client. One of the major consequences of this reluctance is the increasing belief (rather misconception) among clients that once they commission an assignment to the photographer they will have absolute claim on the images being clicked for that project. . But, this is a misconception. This act of the clients can be considered a serious copyright violation as the copyright of the images vest with the photographer and is strongly safeguarded under the provisions of the Copyright Act, 1957. Licensing as a business model has been around since photography was invented. Most traditional photographers (portrait, landscape, wedding, philanthropic genres) have been able to protect their business as they had the ownership of the negatives. It also meant if any customer(s)/client(s) want more prints, they need to go back to the original photographer and pay to receive prints and copies of the same. This structure has been practiced for over 175 years and is a business model which still very much in use. It also makes perfect sense as you are paying for every single print you are in need of. Hence, Clients will also have the advantage of selecting the appropriate photographer for their job after careful consideration. However, with the advent of technology it has become much easier to make reproductions of originals, that the photographers have lost physical control over their own pictures. However, the photographer’s rights under copyright law remains the same. Copyright laws (Indian and International Laws) consider photography as an intellectual property and hence, provide protection to even amateurs who are into photography. When a brand, commissions a photographer for commercial purposes it is imperative that the intended media usage is stated clearly in the agreement at the onset itself. Most clients confuse the ‘creative fees’ quoted as the full and only fees. Depending on the nature of the shoot (commercial, editorial or digital), the photographer is sure to have a specific fee for the client to avail his/her services and skills as a professional. Our agency (DEU: Creative Management) also includes a standard license in terms of media usage, duration of use and geography of use (often national) as part of this fees. Most licenses are drafted with a time limit because clients do not need an image for life. It is rather normal for clients to overhaul their products every couple of years to update and re-brand themselves. Design and style change every now and then and the freshness of the images do not last for more than two years. However if the client intends to use the images over and beyond this standard licensing term for wider reach, the same can be facilitated once appropriate license fee is paid to the photographer. If clients foresee greater potential in the images being used for brand promotion they will have to opt for an image ‘buy-out’ which would definitely be an expensive route as the photographer would be surrendering all his/her future hope of further income from the images. As an agency, we have devised a licensing structure which is far more competitive and functional than European and American territories. 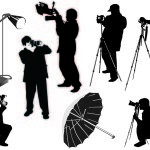 We, along with the consensus of the photographers, whom we represent stand firm on these licenses as they provide a firm business structure to our profession. However, we wouldn’t say that this is a definite structure, and in a market like India, there is need for further consensus to formulate acceptable licensing standards and rates that can be adopted by any practicing professional. A professional is a highly trained/skilled individual who is capable of capturing compelling images that communicates with a full symphony of visual appeal. Not all photographers can shoot photographs that truly pass such crucial messages to the masses. Still images are perhaps the most under-rated jewels in promotions used to establish brand identities. Their role in making certain brands ‘iconic’ and ‘legendary’ are no less. 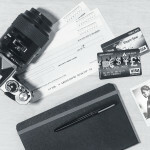 The fees that you pay towards a photographer are often towards the vision, years of experience, talent and technique that set them apart from anyone with a camera. They know exactly what to look for, plan the best lighting arrangements and decide on the best angles to capture that crucial image. They have those special skills up their sleeves to communicate their vision and they are knowledgeable enough to differentiate one format from another. Moreover, their skills let them use the tools of their trade to communicate more than the proverbial thousand words. These qualities of the photographer make the big difference in the end product delivered by him/her. In the commercial front, the photographer’s skills to consistently deliver images that effectively communicate to the audience are of greater value than anything else. Such images however cannot be created for cheaper rates. The most economical way to gain advantage of such images is by licensing it to client(s)/brand(s) based on what they need without having to pay the professional his/her highest price (a ‘buyout’).